Great card with a fine flower! 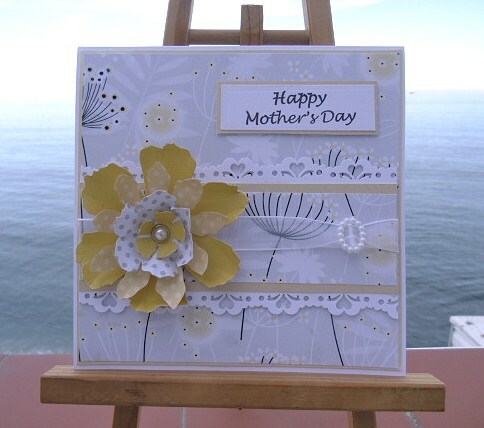 Really pretty card Silvie, love your big yellow flower. I`m going to have to treat myself to those PP papers. Love how you have used those scrummy papers and that flower is stunning!! Love it!! Your weather sounds lovely too . .. . after snow and lots of rain we are now promised a nice weekend! We shall see! Beautiful... Thanks for playing with us at The Sweet Stop. Beautiful card Sylvie, stunning flower! Gorgeous card Sylvie, I love those pretty PP Papers and your flower looks fab.